With spring here and summer around the corner, those who enjoy sports find this to be the perfect time for their outdoor activities. Hardly any rain, mild winds and a sunny weather, it makes for the ideal season to exercise. Whether it is running, walking, hiking or swimming, you can do it all, the weather is on your side during this period. While most of us think of the summer as a season spent at the seaside, swimming and just relaxing on the beach, a lot of other people do not find that idea as appealing. Many prefer hiking or long walks in nature and jogging. Others enjoy cycling and some even sailing. If you were to ask any of them, they would definitely tell you about the importance of a sports jacket. But it is very warm outside and exercise means sweating, so who in their right mind would wear a sports jacket during this time? Well, you should wear one. 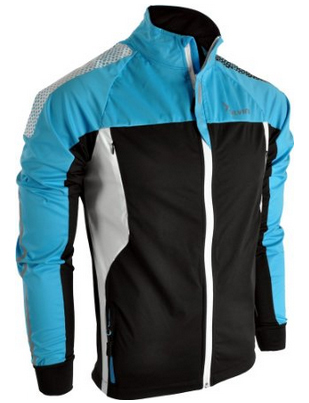 It is important that you remain protected from drafts of wind and sports jackets are specifically designed to be lightweight and breathable, therefore there will not be any overheating because of it. And besides, summer definitely goes by too fast. 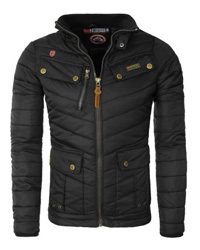 At least you will have a good jacket for those autumn rains and winter winds to keep you warm and dry. We are introducing SILVINI jackets today, which, we are certain, will meet and even exceed your expectations of a quality sports jacket. With a multitude of designs and colors, both men and women will be sure to find something that suits them best. Here we go with the first jacket on our list, the Montagno jacket for women. 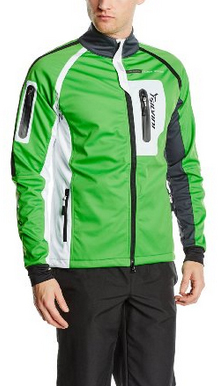 It is a softshell jacket, which can be used all year round, in any sort of outdoors sport you enjoy. 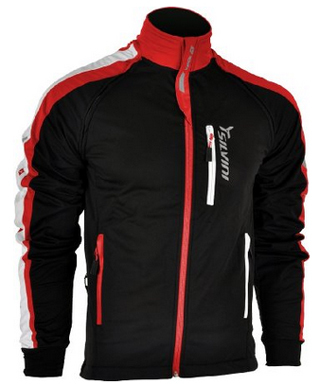 The material is high quality, with waterproof lining and breathable design. There are reflective pieces on the jacket, to make sure that you will be seen at night or from distances, thus avoiding any problem while outside. There are elastic cuffs at the end of the sleeves, providing insulation. The jacket has two zip pockets on the sides and closes with a zipper on the front, which is covered to keep it protected. There is only one color for this design, it comes in black and white, with red and green details. For men, the Montagno jacket comes with the same features as the women’s, but there are a few differences. The back of the jacket is made of porous material, so despite the “heavy” look of it, it is in fact very light and comfortable to wear, despite the activity and weather. It has two side pockets and closes with a zipper on the front. Just like the one for ladies, it has no hood. There are also three color combinations to choose from: black and white, red and black and blue and black. Another softshell jacket, this one is for the gents. 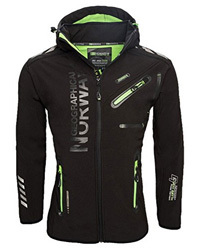 This jacket can handle any weather, whether it is sunny, rainy, windy and for the snow aficionados, yes, even skiing. It is made of a light material, that allows maximum movement, with the feature of being waterproof as well as breathable material for the back. There are elastic cuffs at the sleeves, and the inner lining provides maximum insulation, for the cooler temperatures. The sleeves are also removable, which is a very practical feature for summer. There are two zip pockets on the sides and another on the left chest. It closes with a zipper, and has a high collar, as well as reflective lining on the outside. 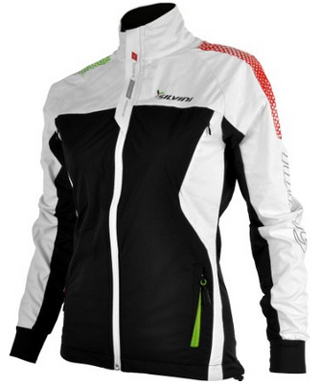 For this jacket, there are two colors to choose from: Black with red and white details and black with green and white details. 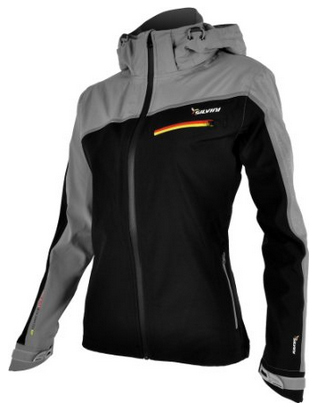 An elegant and slim design, the next jacket for women is a must – have. It comes only in the charcoal color combination, grey and black. There are two side pockets and one on the left side of the chest. The sleeves end in elastic cuffs as well as Velcro, which can be adjusted to the desired fit. There is a hood on this one, which is removable and adjustable, due to the drawstrings. 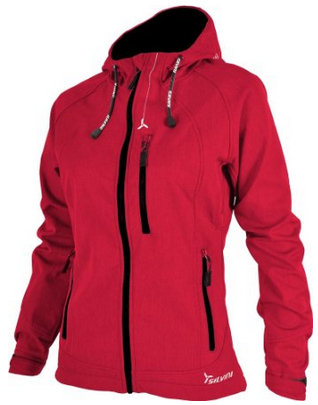 The material on the back is highly breathable and the inner lining provides warmth and comfort. The jacket closes on the front with a zipper. The Santo jacket is another jacket for women, with a slim fit and a very casual look to it. It comes with elastic cuffs at the sleeves, two side pockets and interesting design on the sides of it. It is made of fibrous material, making it very breathable and light. There are, of course, reflective elements and the jacket has undergone an Antibacterial treatment, making it ideal for outdoor activity, even in woods and open fields. There are two color combinations for this one, a charcoal with white and coral details, and the white with purple combination. There is no hood on this one, so keep that in mind if you are going out in the rain. The Ronci jacket for women comes with an adjustable hood, not removable, and an inner lining of fleece, therefore making it suitable for any type of weather. 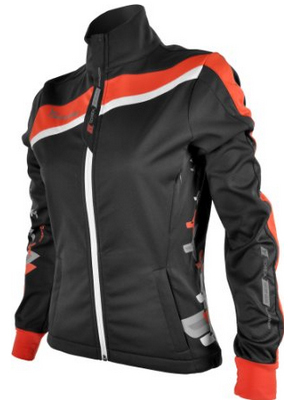 It is another softshell jacket, with three pockets, two on the sides and one of the chest. The cuffs are made of elastic material and close with Velcro. Just like the rest of them, it is waterproof, and insulating against weather conditions. The material allows for a lot of air exchange, making it a highly breathable jacket. It comes only in the color red. 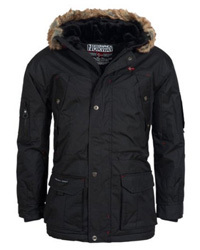 The last jacket on the list is the Anteo jacket for men. It comes in a fibrous inner material, with antibacterial treatment. This design is suitable to be worn all year round and it goes well with any activity you prefer. 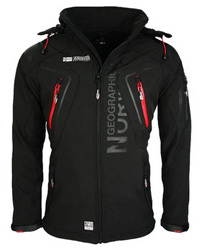 The inner material offers maximum insulation, with an outer membrane which gives the jacket waterproof qualities. There are ventilation pores under the armpits and the design is made to be comfortable with every move you make. It comes with three pockets on the front, elastic cuffs and in three colors: black, forest green and red.